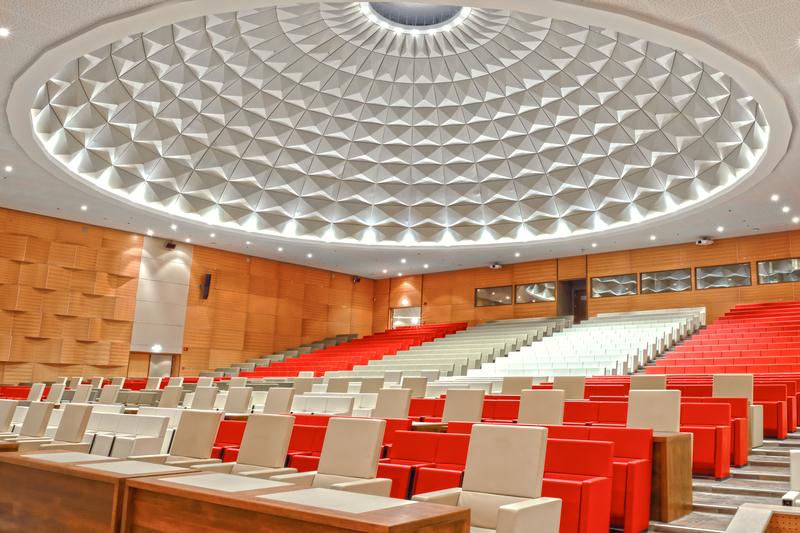 The Djibloho Auditorium covers over 1,060 square meters and can accommodate different seating arrangements ranging in sophisticated atmosphere. Fully-equipped with contemporary conference and meeting facilities. Pre-function / Reception / Registration area (2,076 sqm). Stage to host 5 heads of state or equivalent and a speaker podium. Accommodates up to 52 delegations each headed by a VIP desk for the head of state/head of delegation. Separate seating area for registered observers and guests. Raised electrostatic access flooring for the flexibility of seating change and associated services. Concert hall acoustic and audio-visual design. Separate VIP section with a private entrance and entrance foyer. Direct access to meeting rooms on the lower level – internal VIP stairs.